​when they leave for their new homes from 6th April 2016! We can offer a large majority of our services from the comfort of your own home, minimising any stress for your pets and inconvenience to you. You won't find this flexible service offered anywhere else in the UK! Microchips are ISO 11874/11785 compliant and can be read by all FDX-B and Universal microchip Scanners. 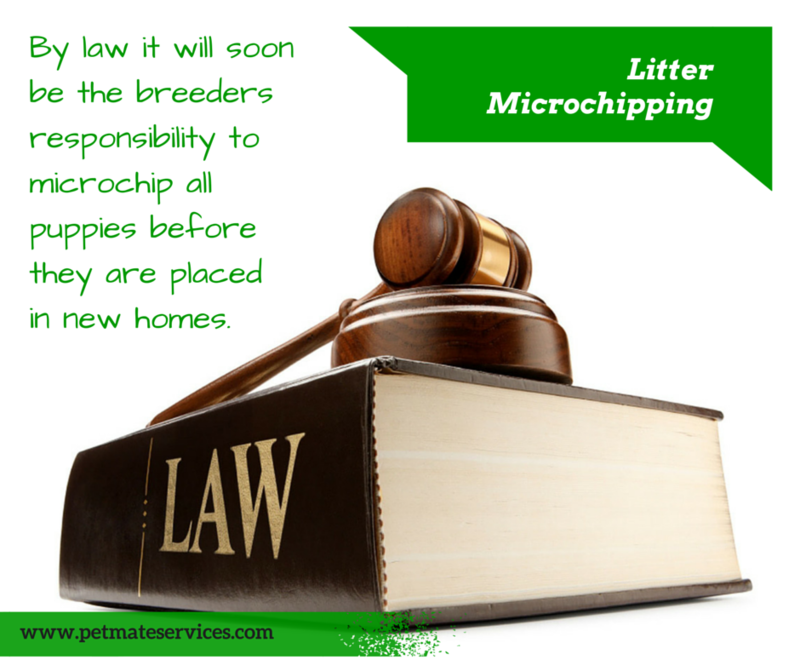 Microchipping is a simple safe and quick procedure. It can make all the difference in being reunited with your pet should they stray or go missing. The microchip is the size of a grain of rice and the procedure, which is carried out by a vet or trained microchip implanter, takes only a few minutes and lasts a lifetime. Once your pet is microchipped, you and your pet's details are stored in a microchip database along with the microchip's unique 15 digit code. 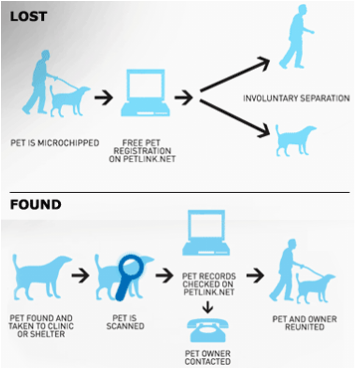 When a missing pet is found, an animal professional (for example a vet or dog warden) will scan the pet revealing the microchip's unique 15 digit code, and contact the microchip database your pet is registered with. The customer care staff will perform some security checks before releasing your contact details to the animal professional - so that your pet can be reunited with you.